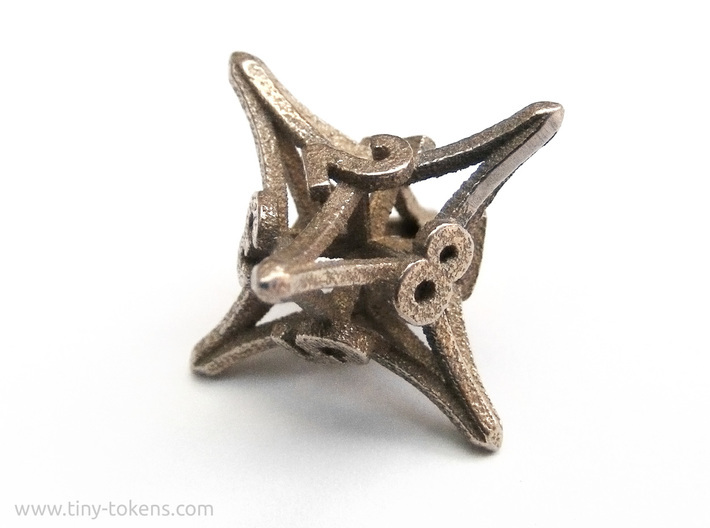 This is the eight sided die (D8) from my 'Radial' set. 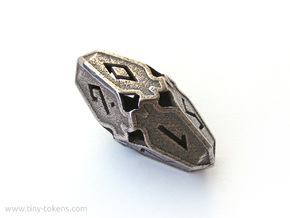 It measures 15 mm (0.59 inch) across the opposing faces, and 26 mm (1.02 inch) from tip to tip. 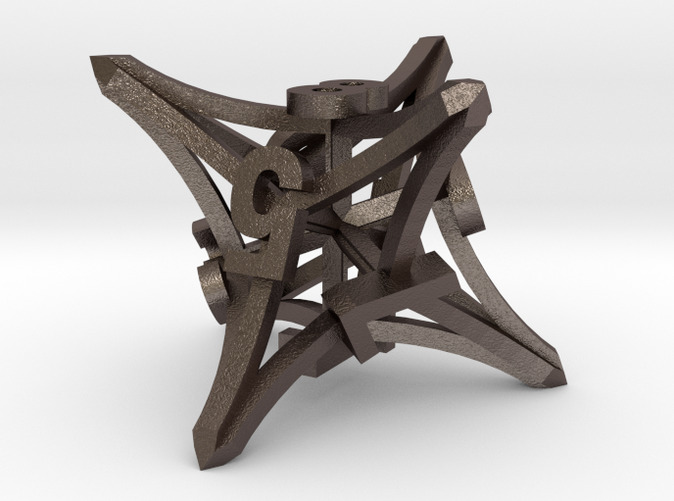 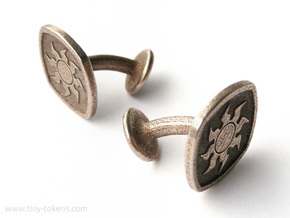 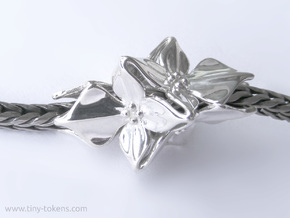 This design is optimised for printing in steel or any of the other metals. 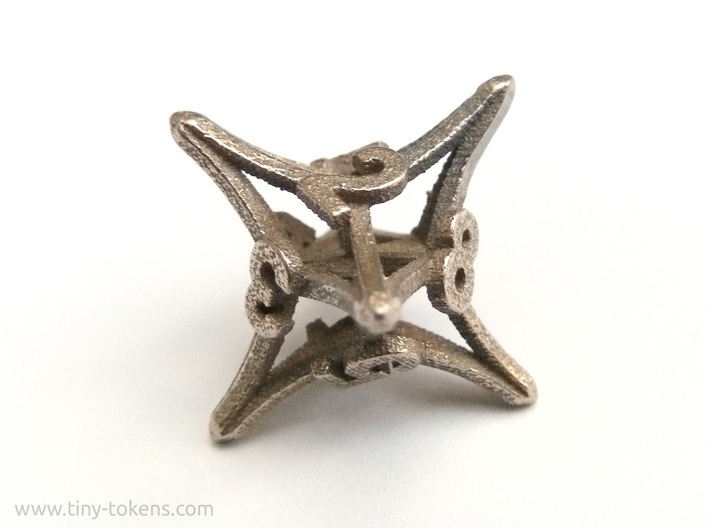 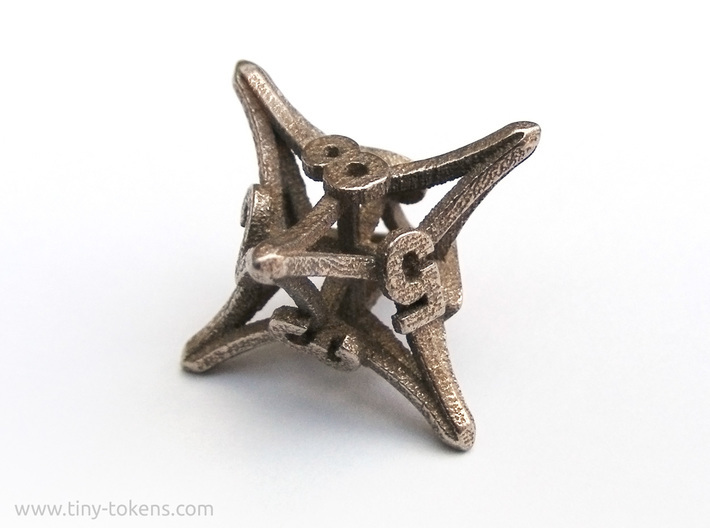 In steel this die weighs about 3.4 grams. 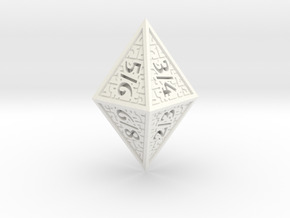 The die is well balanced and gives a fair roll.